The name Robert Kuok has been synonymous with sugar for decades. In fact, so renowned is he with this industry that he is being conferred the unofficial title of ‘Sugar King’ not only for Malaysia but in Asia as well. It was reported that Kuok had once produced and supplied up to 80% of the total sugar for Malaysia and 10% of the world’s sugar supply. That is a daunting figure by any means as the consumption of sugar is one of the highest among other daily needs. Robert Kuok has been married twice where he has 8 children. He went to school at Raffles College where he was born to a commodities trader. Despite his wealth and stature as the richest man in Malaysia, he is very much a hands-on person who still very much is involved in the running of the Kuok Foundation. When he went to school, he was a schoolmate with Lee Kuan Yew, perhaps the most illustrious Prime Minister of Singapore. Robert Kuok and his brothers founded Kuok Brothers Sdn Bhd and his end-to-end master of sugar supply in Malaysia saw him rising through the ranks. It was during the post independence years that he cultivated his business that expanded to the likes of London and other countries. 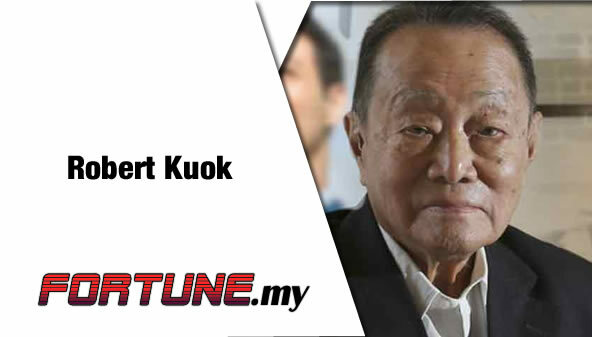 Not one who would rest on his laurels, Robert Kuok then expanded into other sectors and following his success in the sugar business, he would emulate his style and vision to another commodity and this time he ventured into flour. This is where he would build the largest flour mill in the country and became a major player in the corporate industry. An opportunist in every business venture he was in, he spotted opportunities both within and outside Malaysia and worked with partners and governments to establish businesses in many countries that include Fiji, Singapore, Australia and China. Today, Robert Kuok’s business span across various sectors that include his ownership in Shang-ri La Hotels, the Kerry Group and others which encompasses hospitality, animal feed, trading and others. Is Bitcoin the ideal investment?